Oh, America. It’s been four months since I’ve been in this great country of mine. Two weeks ago, I made the long-haul trip from Chiang Mai back to America. It was exhausting. It was long. Damn. It. Was. Long. But, on the other side of the world, there were friends and family waiting for me. And, gorgeous views like this en route to my old life. I almost missed this shot, thanks to being so exhausted from not sleeping the night before at the airport. But, some little thing in my head woke me up and enticed me to open my airplane shade to gaze outside. There’s something about looking out over the world from miles above. It’s spectacular. It’s breathtaking. It is a reminder of how teeny tiny we are, and how vast and stunning this world truly is. 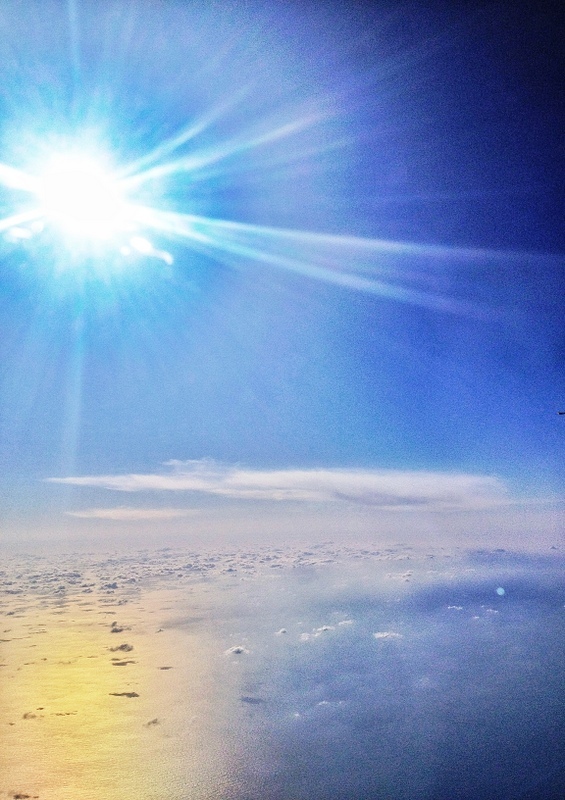 In this moment, when we were flying above the Pacific and Japan, I felt so thankful, not only for the love and hugs awaiting me in America, but for being given the gift of this moment from the seat in the airplane, and reminded how beautiful the world is.